Regional journalists up and down the country have been abandoning their razors and growing face fuzz in aid of the Movember fundraising drive. The annual campaign aims to raise money for Prostate Cancer UK and the Institute of Cancer Research. Having originally started in Australia, the scheme has grown in popularity around the world and thousands of people in the UK now take part every year – including dozens in the regional press. 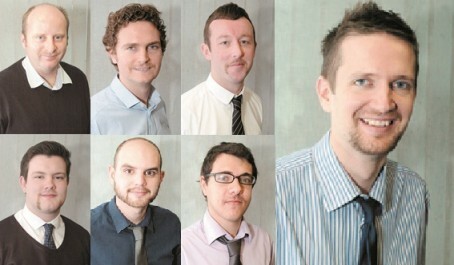 Here as promised earlier this week is our round-up of Movember fundraising efforts within the industry. At Baylis Media Ltd, which produces the Maidenhead Advertiser, Windsor Express and Slough Express, seven reporters and photographers joined forces to raise a total of £310. Slough Express reporters Nicholas Mayo and Philip Dewey; Twyford Advertiser reporter Daniel Darlington; Maidenhead and Bray reporter Paul Miles; Maidenhead and Cookham reporter James Preston; online reporter Stephen Scott; and photographer Ian Longthorne all took part. Chief photographer Matthew Phillips even designed a campaign poster which he posted to Twitter in support of his colleagues, spoofing Will Ferrell film Anchorman, with five of the newly moustache-bearing members of staff edited onto the faces of the cast members. Meanwhile, five members of staff from the Wiltshire Times – captained by senior photographer Glenn Phillips – have been chronicling their progress online. Owen Houlihan, Neville Smith, Bruno Clements and Craig Jones formed Team Hairy Times with Glenn to take part, raising more than £400 for the cause. 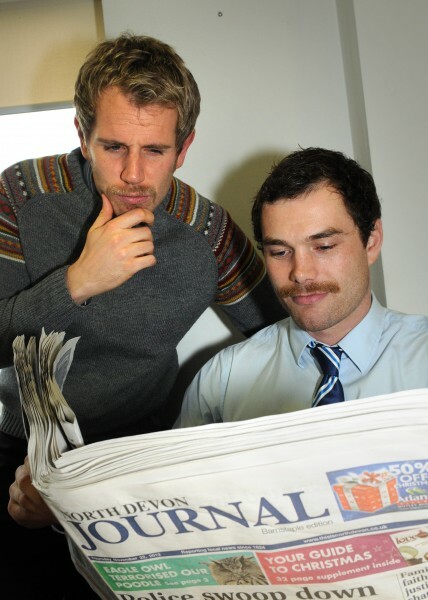 At the North Devon Journal, chief reporter Joel Cooper and reporter Will Topps decided to moustache-up for the month. Will said they even bribed their colleagues with chocolate to encourage them to donate more, and said they were still counting the cash raised. At independent company KM Group, Tim Collins and Sam Lennon, both reporters for the Kentish Express in Ashford, were joined by advertising executive Ben Watson to raise more than £300. KM Group team leader Tim Collins, 27, from Deal, in Kent, said it had been an “interesting experience”. “The decision whether to get rid of it or keep it will be probably be more easy for some, as the fruits of our labours have been varied,” he said. “For advertising executive Ben Watson, the resulting growth would make any US trucker worth their beer soaked t-shirt doff their cap in appreciation. 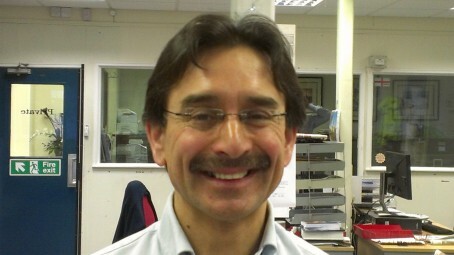 And Ed Asquith, editor of the Scarborough News, said he was looking forward to shaving off his ‘mo’ tomorrow after the campaign comes to an end at midnight tonight (Friday). He has raised around £50. Some of these are great moustache examples. But for others (like several entrants in Baylis Media’s camp) I’ve seen more hair on a sparrow’s kneecap (as my father used to say to me). Good efforts, gents. Sam Lennon is Swiss Tony. Great lid. I’m impressed – nay, amused – that so many reporters still wear ties these days, let alone ‘taches! Good effort all round gents.